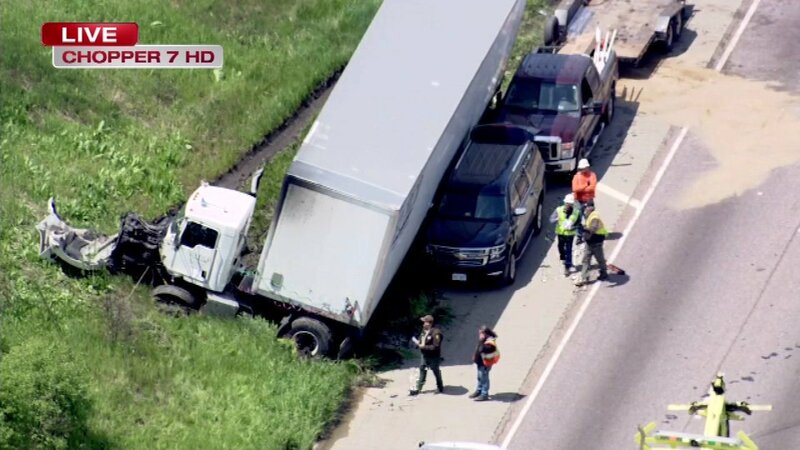 COUNTRYSIDE, Ill. (WLS) -- All lanes of northbound I-55 were shut down for hours near Willow Springs Road Thursday morning for an accident. The Illinois Department of Transportation said a semi tractor trailer and a pickup truck pulling a trailer of collided. The semi jackknifed, and materials from the pickup truck spilled in the roadway. Traffic began moving again by the Thursday afternoon rush hour.